the French were the first to use poison gasses. Their was several different types of poison gasses: phosgene and chlorine, tear gas, and mustard gas were the main poison gasses used in WWI. 4% of combat deaths were caused from poison gas. Tear gas-The French filled 26mm grenades with tear gas which irritated the eyes. This gas didn't have that much effect on the war. Chlorine- chlorine was not as effective as the Germans were hoping it would be because it was easily detected because it released a strong odor and a greenish cloud. it could also be easily counteracted by just placing a wet cloth over your mouth and nose. Phosgene-phosgene came after chlorine with a greater effect because it couldn't be seen and it only had a small odor which was about the same smell as "moldy hay," so it was alot harder to detect and it was alot more effective. Mustard Gas- Mustard Gas was probably the most effective gas of WWI. It wasn't used as a killing gas but if it was in large enough quantities is could be fatal, but it was used to disable and to pollute the battlefield. The British were the first to implement tanks into the war to try to stop Trench Warfare. Tanks eventually led to the end of trench warfare. The bombed out terrain made it difficult for most tanks to drive through so only few tanks could pass through some of these battlefields. The first tanks were not able to cross these rough terrains because of their wheels. The wheels had to much pressure from the weight of the tank so they tried to add more wheels to balance out the pressure but then it had to have a bigger drive train which needed a bigger engine which also added alot of weight to the tank. The solution to this was creating the catapiller tracks which are still on tanks today. These "Catapiller Tracks" evenly distributed the weight of the tank and increased traction for easier mobility through the rough terrains. The building of tanks also led to the building of anti-tank weapons made mostly by the Germans. World War 1 was the first war where submarines were a big conflict. They were a big conflict because just before the war started there was a new propulsion system created for these submarines using diesel. 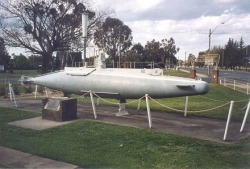 The Germans were using their submarines to cut off Britains resources by attacking the ships which they relyed on to get their war supplies from. Britain then tryed to counteract that by disguising thier ships as civilian ships. The use of flamethrowers were first introduced by the German Imperial army. They planned to use these weapons to flush the British and French soldiers out of the trenches. 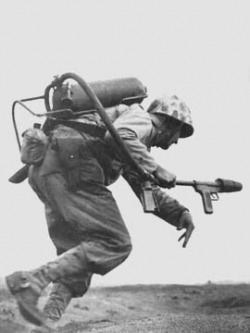 Flamethrowers were used more as a weapon of fear than of tactical benefits. 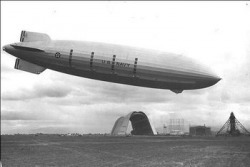 Zeppelins were big blimps that were used by the Germans mostly for small bombings on military bases. They were also used to bomb cities in Great Britain, but did not have that great of an effect on the war. The making of Machine guns led to a new type of war style. Machine guns could be operated by one man and fired faster than other guns. However, it took training and bulky ammo pans for soldiers to use the guns effectively. The first airplanes in WWI were unarmed and not very different from the planes built by the Wright brothers. These early planes used small firearms and even spears to attack each other. 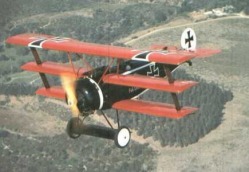 Later there more agile planes with mounted machine guns. German engineers figured out how to mount a machine gun in the front of the plane so the pilot could fire in the path that the plane was going. Dogfights between planes in the skies often occurred over cities and battles. 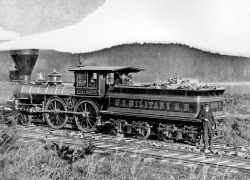 Railroads were a vital part of the war. The Railways could transport just about anything from small weapons, infantry, and all the way up to tanks. Unfortunately the train could only move as fast as they could lay out the track. Trains were also very vulnerable to attack. Messages were first brought by men in vehicles but that was too slow and risky. Also the use of radios were to hard to use because they were to big and heavy for a man to carry. Phone lines were not successful either as the ones laid were quickly broken. Some solutions were also having planes drop messages without landing. 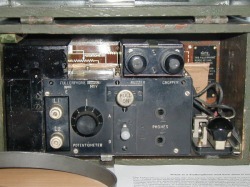 Mirrors and lights were also used to send messages back and forth.